A flexible, research-based, K-8 ELA and Math Supplemental Curriculum. Written directly to grade-level standards. Available in print and interactive online format. 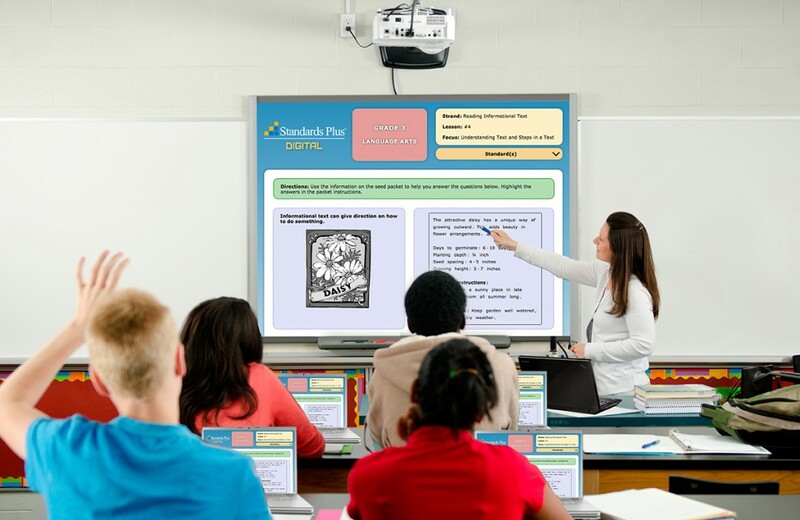 Empowers teachers to directly teach the standards and SBAC-like technology. Teachers are the most important factor in student learning. That’s why every Standards Plus lesson is directly taught by a teacher. “Direct Instruction is a proven method of instruction that fosters the most significant gains in student achievement and results in deep and enduring understanding of the concept.” (Peladeau, Forget & Gagne, 2003). Each lesson has a clear learning objective, providing easily understood instruction which allows students to learn and retain the information in their long term memory. Each standard/skill is broken down and presented in at least 4 lessons (sometimes more) providing multiple opportunities to practice and develop a deep understanding of a specific skill allowing for long term retention. “The most powerful single modification that enhances achievement is feedback.” (John Hattie, 1992) Every lesson provides immediate feedback to the students. 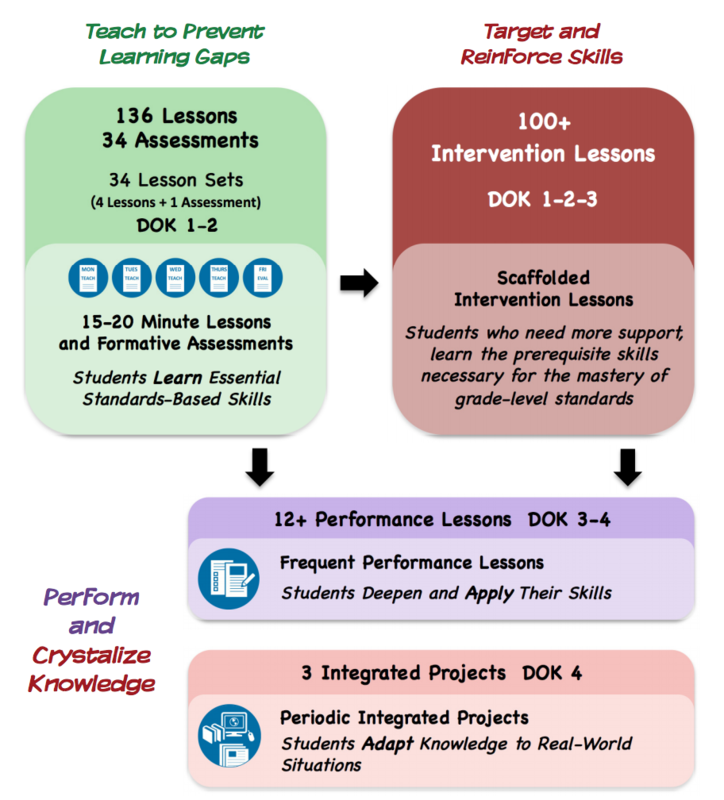 For students who need further instruction to master a standard/skill, immediate intervention lessons are available that scaffold below grade level and provide the necessary instruction that allows students to master the standard. 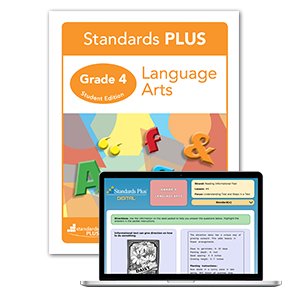 Standards Plus® lessons are written specifically to all grade level standards. Lessons are led by teachers and students have multiple opportunities to practice appropriate grade level standards. Students are guided by teachers as they practice specific concepts on four to six items per lesson. Because Standards Plus lessons are designed to provide immediate teacher feedback throughout each lesson, students receive real-time remediation. This reinforces learning, ensures that students do not practice errors, and helps students retain information to crystalize their learning. and verified for alignment to the Common Core Standards by learninglist.com. Grade level content and academic vocabulary are taught within the context of the lessons. Standards Plus is produced by Learning Plus Associates, a Nonprofit Public Benefit Corporation dedicated to creating and providing solutions that increase student achievement and support teacher delivery of high-quality, effective instruction on a daily basis. The lessons are based upon the research of Effective Schools Correlates, Edward Deming’s Total Quality Management (TQM), and models of effective instruction. 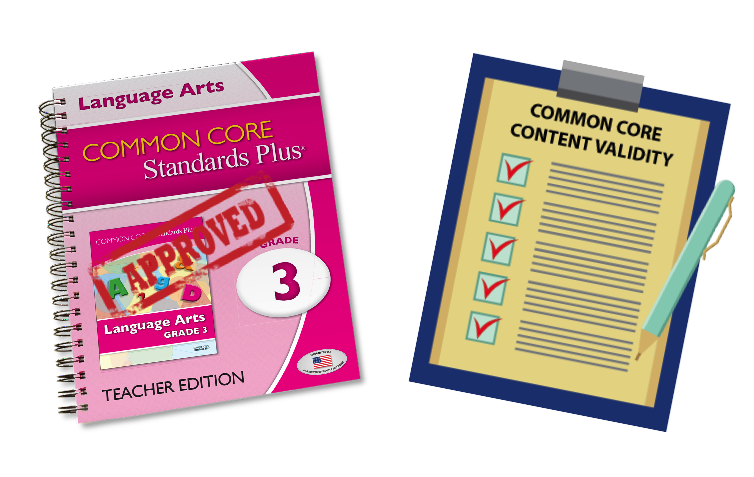 A team of content and grade level experts wrote the Common Core Standards Plus lessons to meet the skills, concepts, depth, and rigor of the Common Core Standards.